1988 Sylvan SUPER SNAPPER Newer Carpet On Front Deck!!! Comes with a trolling motor, anchor mate, two (2) seats, a set of oars, and a spare tire! 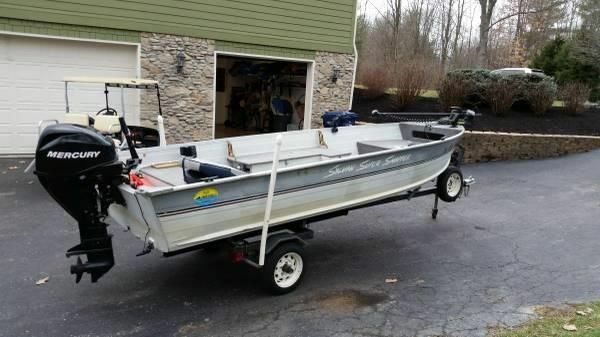 2000 Sylvan SUPER SNAPPER TILLER BOAT PACKAGE INCLUDES EZ LOAER ROLLER TRAILER, SPARE TIRE, HUMMINGBIRD LOCATOR AND COVER. 1985 Sylvan 16 Super Snapper There's still plenty of time this season to get out on the water and go fishing! 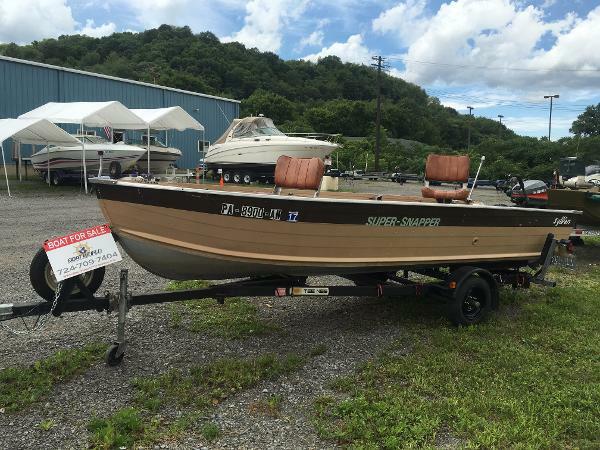 This 1985 Sylvan 16 Super Snapper is in incredible shape for its age. The floors are all solid and the hull is nearly perfect. 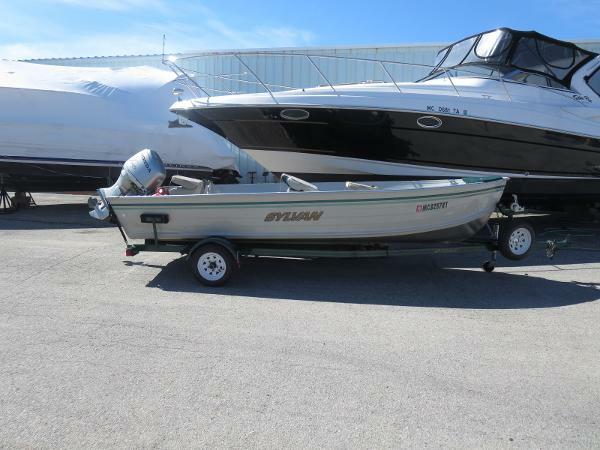 Comes with a 1995 Mariner 9.9 tiller that has just been tuned up with new plugs, wires, and impeller. Accessories include a new 55lb trolling motor, 2 batteries with new on-board charger, new Hummingbird fishfinder, new cover, 2 fishing seats, livewell, and running lights. Tee-nee trailer is also included and has a spare tire as well. Only $3,800 and you can be on the lake in no time! 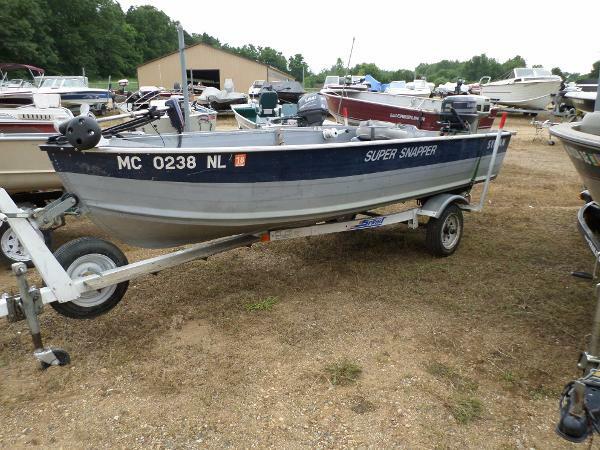 1999 Sylvan 16 Super Snapper 3 Fishing ChairsBait WellRod StorageFull CoverAnchor/LineLive WellSpare TireLife VestsCall Us Today!